Oh good. M is full of sports sports sports sprots sorpts strops. Luckily some other stuff too. Some proper good stuff. Shall we get all the sprots out of the way first? Damn sprots. First up, 344 versions of Madden NFL, followed by a handful of MLBPA Baseball games and more American football in the form of Mike Ditka Power Football. There’s also a Mutant League Football game (Madden with monsters) and Mutant League Hockey (NHLPA with monsters) which although are more enjoyable than the “normal” sports they represent, they’re still rubbish. Sports, eh? Tch. Other games that don’t make the cut include Marble Madness (not a bad game, but none of the home versions work as well as the trackball-equipped arcade original), Marsupilami (yawnsome platformer), Mega Man: The Wily Wars (ports of the first few NES games, but not as good despite the better graphics) and Mickey Mania (technically impressive but another 16bit Disney platformer). Mortal Kombat 2 and 3 are actually pretty excellent, but unfortunately for them, Ultimate Mortal Kombat 3 exists making them redundant. 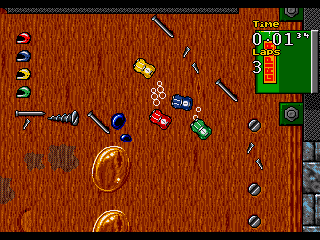 Micro Machines Turbo Tournament ’96 is the definitive Micro Machines game. 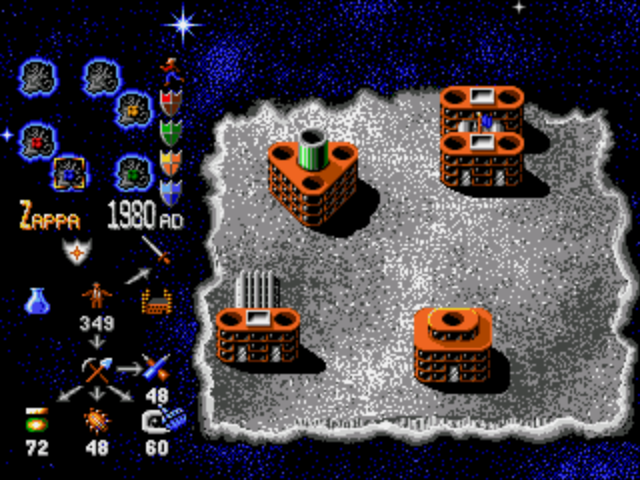 It massively improves on the previous games, and doesn’t venture too far into weaponry which ruined later outings. It’s has fantastic tracks, a level editor and 8-player pad sharing is carnage. Probably my favourite 2D racing game. Magical Hat no Buttobi Tabo! 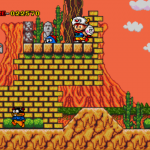 Daibouken, perhaps better known as Magical Flying Hat Turbo Adventure, is an evolution of the Master System classic platformer Psycho Fox. Reskinned as the also excellent Decap Attack in the west, Magical Hat is, in my opinion, actually better and certainly sillier. Blue skies platforming! 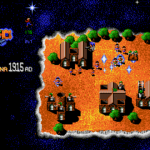 Mega-Lo-Mania is a real-time strategy game where you race to develop weapons from elements you dig up, then wage war on up to three other deities. 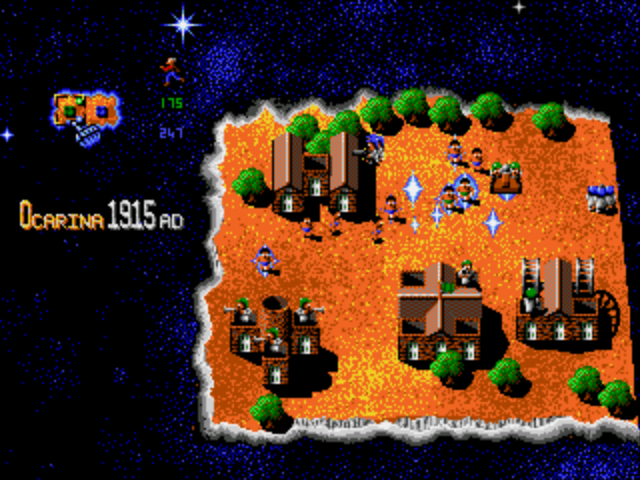 It isn’t as deep as other resource management games like Command and Conquer, but it’s much faster and arcadey as a result. Excellently quotable soundbites and a hidden asteroids minigame just add to one of my most played games ever. All three of these games are absolutely necessary in any collection, and indeed two of them appear in my (quite old now) Top 10 Mega Drive Games list. The letter M also has some other great titles I’ve not mentioned which don’t quite reach the heights these three do (Mega Bomberman, Monster World IV and M.U.S.H.A., for example) which makes it a difficult choice. However, I’ve gone for Mega-Lo-Mania, despite it not appearing on my Top 10. Why? Because it really should be on there. 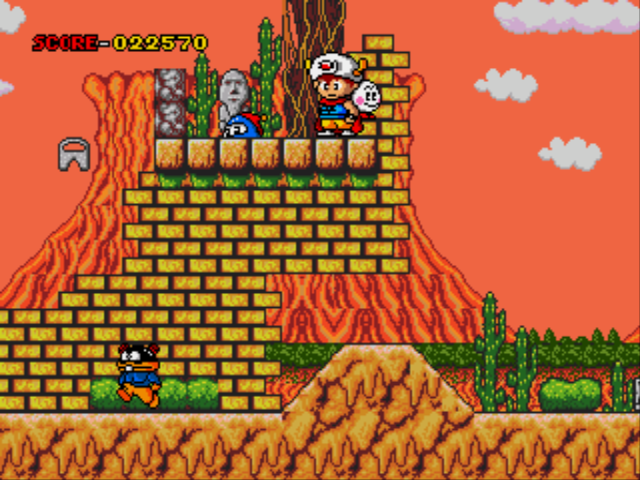 It’s endlessly replayable, it’s funny, it’s unusual and it’s simply one of the best Mega Drive games. 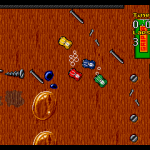 You might think that controlling the on-screen pointer with a d-pad rather than a mouse (like on the Amiga version) would be a negative, but Sensible Software made the pointer “jump and snap” to all the icons, so it actually controls better than with a mouse. An almost perfect game. In the next EXCITING installment of Alphabest: the letter N.